Snow leopard is also known as the ghost of the mountains. This is as a result of their extreme solitary behaviour. These leopards don’t even have a group name. That’s how serious they observe their solitude. They are one of the wildlife in my bucket-list to look for before i bid this world goodbye. I came to appreciate and love them through a conservationist blog. She is using her blog to raise awareness and offer support towards snow leopard conservation. Snow leopard can be found in Russia, China, Tajikistan, Nepal,Uzbekistan, Afghanistan, Bhutan, Kazahstan , Pakistan as well as India. They are adapted to the cold mountainous areas. Hence able to withstand very low temperatures and high altitudes. They prefer the rocky mountain but can also be found in the dense forests. Their coat offer them camouflage to their environment. Snow leopard are the smallest among the leopards. Just like the other leopards, the males are larger than the females. This leopard has a gorgeous smoky-grey coat, patterned with black spots and rosettes. With a very thick fur around their belly. Leopards are territorial animals. And snow leopard tend to occupy a very large piece of land. They are solitary and very elusive. Hence very difficult to spot . The male and female come together only during mating. Then the female raises the cubs alone. They are good hikers and can be able to walk on ice for long distance. Their long tails help boost their balance as they climb steep mountains. Just like the other leopards, snow leopard does hide its kill too. After hunting, they drag the prey into their hiding tunnels. They are less aggressive . Unlike other cats, snow leopards is able to kill a prey three times bigger. Hence making great kills. They take their own time and pace while eating their prey. Safely in the hiding tunnels. Due to their short proximity to humans, they also hunt livestock. Which contributes to human-wildlife conflicts. FYI : Snow leopards cannot roar due to undeveloped voice vocals. 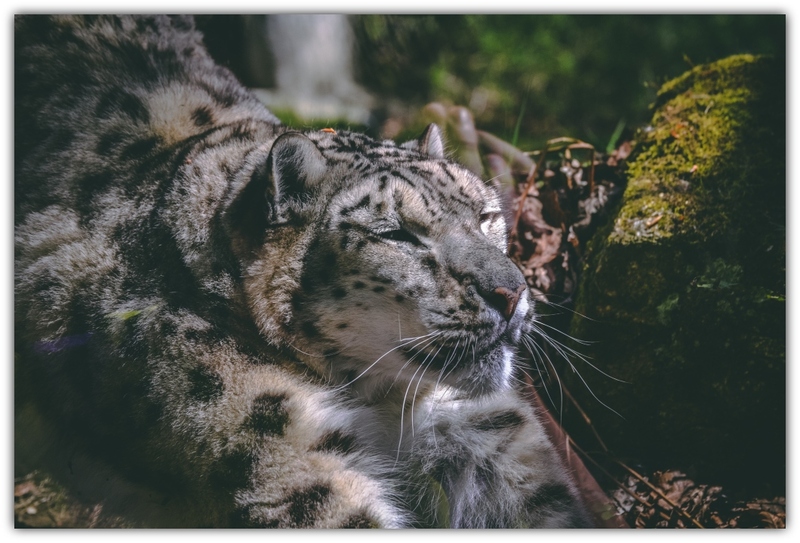 Snow leopards have been listed as vulnerable species by the IUCN Red List. They are been hunted for their beautiful thick fur. Killed by humans as a result of human-wildlife conflict. Illegal trade of their body parts. Beautiful animal. Maybe, it’s my favorite.